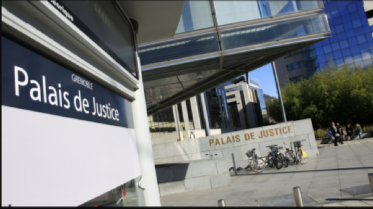 This entry was posted in Activism, Whistleblower Retaliation, World News and tagged Flagrant Miscarriage of Justice, Frederic Laroche, Grenoble Criminal Court, Grenoble Judge, Grenoble Prosecutor, Jean-Yves Coquillat, Voiron Police. Bookmark the permalink. The DA Practicing psychiatry in front of the Bench Judge and not allowing the accused to present as a witness on his own behalf (due to alleged persecution complex) is a miscarriage of justice. Damages should have been handled by the insurance company. This whole incident or accident was a setup. TIs beware. This happens all the time. PSYCHOLOGISTS ARE JUST PEOPLE WHO WEREN’T SMART ENOUGH TO BE PSYCHICS!!!! !